Justine talks to Pilar Orti on Spain Uncovered. » I’m on a podcast! My favorite places in Barcelona, the blog, Catalan independence! I had fun talking to Pilar Orti about these things on the Spain Uncovered podcast. Pilar is Spanish and is based in London. 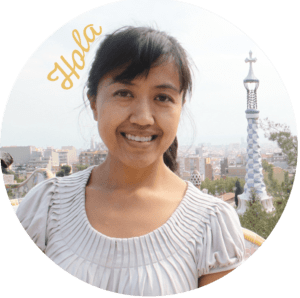 On her podcast, she talks to mostly English-speaking book authors about Spain and breaks down Spanish stereotypes! As soon as I can figure out how to embed the podcast here (I’m looking…. ), you can have a listen to the episode called Ep 23, Justine Ancheta and Barcelona.